If you are working as a truck delivery driver in Pennsylvania, you need to have a certain set of skills to get through the winter, especially if you are driving big rigs. There are way too many careless drivers on the road and those overconfident ones who do not care about the extreme weather and road conditions. Implementing proper skill and having the right knowledge will help you get through the winter and help you arrive safely at your target destination. Here are some driving tips that you may find useful while on the road. Regardless of what you are driving or how many trailers you have attached, you should always try and slow down. Going fast is not going to get you anywhere, especially during snow and rain. Plus, the roads are probably slippery, which increases your chances of getting caught in a truck accident. Just in case you do, keep in mind that you are going to need legal representation. 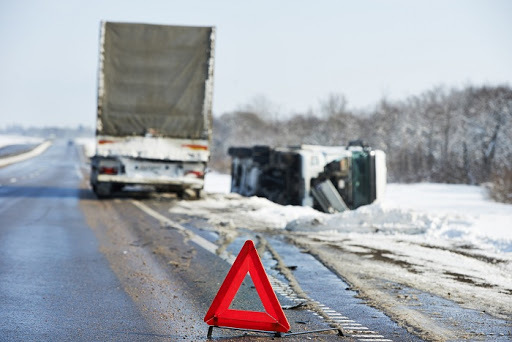 A Pittsburgh Truck Accident Attorney will help you deal with the legal aftermath of your accident; be sure to give them a call and schedule a free initial consultation. The worst thing you can do in winter conditions is tailgate the vehicle in front of you. Not only is it annoying for the vehicle ahead, but it also puts you in danger. Imagine the scenario where the vehicle in front of you has to brake immediately to avoid hitting an animal or an obstacle on the road. Will you have enough time to brake and avoid a collision? If you are not tailgating, then the answer is yes. The closer you are to the vehicle in front of you, the more chance you have of getting involved in a truck accident. With heavy snows covering the roads, it is normal that you may find yourself in a state of chaos. With the dispatchers being chaotic, you have to use your solid judgment and understand that you may be late for delivery. Even so, you are not to blame. Do not risk losing your or someone else’s life. Watch the speed limit, evaluate the road conditions and act accordingly. No one will blame you if you are late. It is important to clean the trailer lights every time you make a stop. That way the vehicles behind will be able to spot your trailer, should the weather conditions become even worse. Snow usually means poor visibility, and every light that can help a vehicle behind or around you is essential for a safe trip.